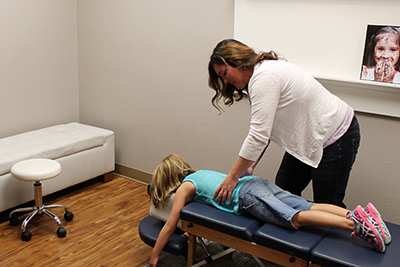 As a chiropractor, Dr. Rachel is an expert in the detection and correction of subluxations. These misalignments in the vertebrae can cause interference in your nervous system. How do they affect your health? Simply put, your nervous system is the master controller of every function in your body, down to the glands, organs, muscles and tissues. When your nervous system can communicate with the rest of your body, you can enjoy your full function. When subluxations are present, however, you might experience problems such as headaches, sciatica, allergies, asthma and more. 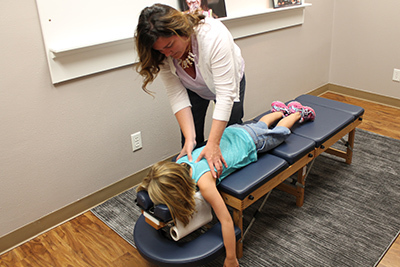 Dr. Rachel will discuss what’s involved in a chiropractic adjustment with you before beginning. We want to have open communication with you and welcome any questions you might have. If there’s a certain technique you’re not comfortable with, please let us know, and We will find a technique more suited to your needs. Activator Methods®. An instrument-based technique that is noninvasive and gentle, ideal for seniors, babies and everyone in between. Diversified. A hands-on adjustment that’s done while you’re on your back, stomach or seated. Gonstead. A hands-on adjustment that’s performed sitting or lying down. Webster Technique. Used for expecting moms to align the pelvis so that her baby has room to be in the proper position for delivery. To find out what we can do for you, schedule a complimentary consultation today! We also accept walk-in appointments and have same-day visits available.